Cool 3-watt 'Micro Crush' combo with built in tuner for a great price. The Orange Micro Crush PiX Series CR3 amplifier has all the cool looks of its bigger brothers. But it's not just cool looking. Plug into the little Orange Micro Crush amp, and you'll soon realize it is Orange through and through. 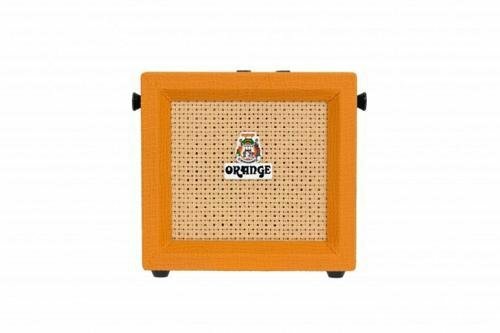 Orange gives the Micro Crush amp the brand's signature Orange Tolex cover and woven speaker grille and, of course, Orange's picture-frame edge style.